The picture you see here is what is hidden under, and what holds up, the pointed, slate roof of one of the towers at Brézé Castle. What looks like a simple conical profile, from the outside, is no fewer than 56 wooden beams that come out from a central wooden key and which form the structure… the skeleton on which the slate roof rests. The slate stone ‘shingles’ can only serve their purpose effectively if the frame beneath them is solid. 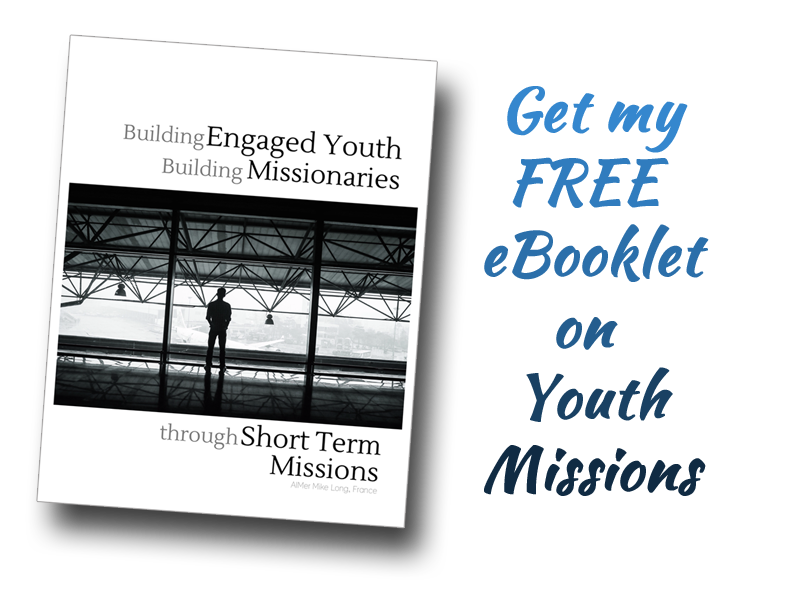 So it is with missions and missionaries. Youth Convention & a New Teenager! I never quite know how to refer to it. On one hand, it is the French national youth convention, but it’s also somewhat of a de-facto European youth convention as well, given that people come from all over! Without question… it’s well worth their travel! “…. and I will make you fishers of men.” said Jesus. “… As I follow Christ.” said Paul. We only ever really grow if we have some-one to follow and eventually learn from. Kids follow their parents and learn about life, apprentices follow their mentors to learn a trade, and Christians… we follow Christ and those who’ve left a good example by doing just that… following him. This week, the fall school vacations will come to a close and we’ll head into a busy couple of weekends in the Paris area – hello kilometers! In the face of busyness, I’m thankful that prayer takes us higher.